"Go and make disciples of all nations, baptizing them in the Name of the Father and of the Son and of the Holy Spirit, and teaching them to obey everything I have commanded you. And surely I am with you always, to the very end of the age." This parish has enjoyed a steady increase in membership, financial pledging, and overall participation. The physical plant has grown considerably since our first meeting in 1988; we now have beautiful memorial gardens and we hope to make various enhancements to beautify our chapel. With the location of Good Shepherd we are in a favorable position to serve the community and be a visible beacon of holiness. We welcome all people, acknowledge that every member of Good Shepherd is a minister for Jesus Christ, the world is our parish, Christian Formation is our goal, and worship is our duty and delight. The history of Good Shepherd, Venice began on October 22nd, 1988 when the Canon to the Ordinary, Fr. Hoyt Massey, assisted by retired priest, Fr. James Younger conducted a highly successful meeting at the local YMCA with members of St. Marks to discuss interest in forming a mission congregation in the South Venice area. After the Holy Eucharist, seventy-six souls committed themselves in partnership with the Diocese of Southwest Florida to extend the ministry of Christ in the Venice area. On October 13th, 1989 the South Venice Mission was established as an organized mission at the 21st Diocese of Southwest Florida Diocesan Convention under the episcopate of the Rt. Rev. Rogers S. Harris, third Bishop of the Episcopal Diocese of Southwest Florida, the Mission was given the name All Saints’ Episcopal Church. At this convention Bishop Harris called us to “hear the word of God…Go therefore, make disciples among all people, baptize them, and teach them, and know that I am with you always…” (Matthew 28:18-20). The Great Commission from our Lord Jesus Christ, the Good Shepherd, is the foundation upon which our parish life and mission is built with Jesus as the chief cornerstone. 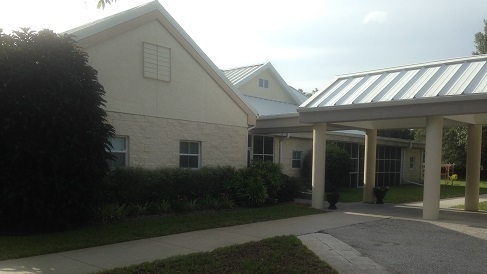 On August 21st, 1993 by action of SWFL Diocesan Council and Bishop Harris, we received permission to begin construction of our building program. 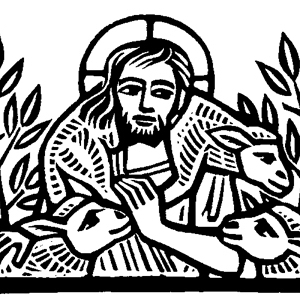 Our mission was renamed The Episcopal Church of the Good Shepherd. The name was given by Providence (* see addendum below) and testifies to the relationship our parish family had established with Jesus Christ. On October 31st, 1993, Bishop Harris, in the company of the faithful people of Good Shepherd, broke the ground to build upon. The building project began with the construction of the current chapel as it now stands along with a courtyard that was screened in (our current parish hall). This first phase of the project took one full year to complete and Bishop Harris returned again on October 22nd, 1994, this time, to celebrate the dedication and consecration of the mission church. Ten years later, 2004, a second construction project added on additional office space, classrooms, a library, and enclosed the parish hall. In order to appreciate this growth it is important to understand that the history of an Episcopal church is one that is intertwined with the support of the diocese and other local parishes. Along with this there are terms worth defining. The church was called a “Mission” because it still needed considerable assistance from the Bishop, both financially and pastorally, who assigned a vicar to guide the young congregation. A “Vicar” is adapted from the English use as one who “substitutes” in the place of the Bishop. In America the term “Vicar” has often been associated with the term “Mission”. Likewise, the term “Rector” is usually associated with the term “Parish” and also signifies the appointed leader. The Bishop normally appoints the Vicar and Vestry (or bishop’s committee) until the congregation stands on its own two feet. It is then recognized by the Diocese as a parish and the congregation elects its new rector and vestry. The Rev. Hoyt Massey was the first Vicar and The Rev. Richard Lampert was the first Rector. Good Shepherd grew and developed, demonstrating the transition to parish status among the other parishes of the Diocese. At the Diocesan Convention of 2005, eleven years after the first construction project, the church made the official transition from mission to parish status, fully self-supportive. Over the next twenty years later, it has been served by three bishops, eleven priests, four deacons, and thousands of laypeople. It continues to thrive today, with over 350 members, being referred to as a “welcoming church”. It has never lost sight of its missionary zeal to uphold the Great Commission instituted by our Lord and Savior, Jesus Christ, commanding us to love God and to love our neighbor. In 1988, when Dean Calvin+ Davis was the rector of St. Mark’s in Venice, he was a member of a diocesan committee commissioned to find a site for a new mission in Venice. Calvin+ and Sandy, his wife, Fr. Herb Beck+ and his wife, Doranne, would travel from Venice to the Peace River and Rotunda, and all the surrounding areas looking for a place to start a mission. They spent countless weekends looking for bank community rooms, model homes that had a room to use, libraries with meeting rooms and any other gathering places to have an initial meeting. There were none to be had. One day in 1988, Calvin+ and Sandy were driving on Center Road in Venice. Calvin+ went in to the Venice YMCA to ask if they had a meeting room to use for a church startup. The manager at that time, Brian Holcomb, now a parishioner at The Episcopal Church of the Good Shepherd, said to Calvin+, “Our Lady of Lourdes (a Roman Catholic parish) is using the community room for the last time this coming Sunday and you can have it after that." Calvin+ immediately called the diocesan offices who sent Fr.Hoyt Massey. The services began soon afterwards. The room was used during the week by children, whose art work and decorations were still hanging when Sundays came. The Vicar was Fr. David Klein. Parishioners came in the side door and settled into comfortable chairs, some of which they brought. The altar had to be set up ahead of time and taken down after the service every week. That same altar is now the children’s altar at The Episcopal Church of the Good Shepherd in Venice. Land was secured further east on Center Road. Bishop +Rogers Harris consecrated the land by blessing all the ‘corners’. The time came to build the new facility. Up to this point, the congregation was known as All Saints. However, diocesan funds were available should the name Good Shepherd be chosen for the name of the church. After consulting Fr. Davis, Fr. Klein made the decision to use those funds and name the church The Episcopal Church of the Good Shepherd. The memorial garden would retain the original name as All Saints Memorial Garden, a nomenclature still in use.